Drawing inspiration from French Industrial Design, this handsome and spacious cocktail table is the perfect piece to complete your industrial style living room. 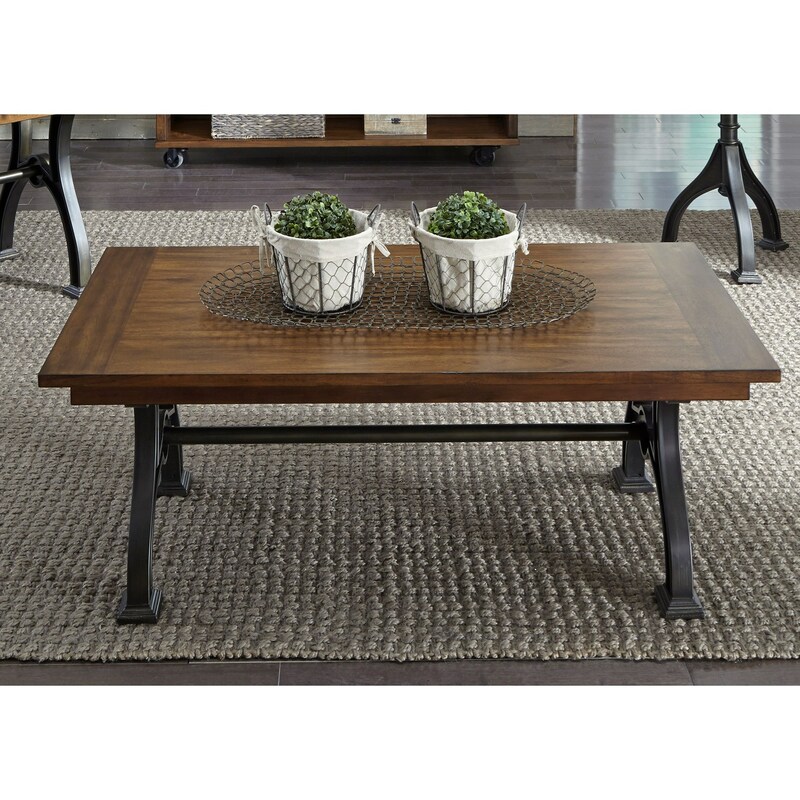 A metal trestle base supports the large tabletop which is constructed of poplar solids and acacia veneers and is finished in a gorgeous cobblestone brown. With ample display space to show off your favorite accents, books, or magazines, this piece is sure to transform your space. 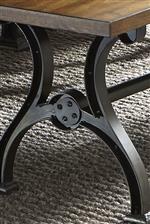 The Arlington Industrial Rectangular Cocktail Table with Metal Trestle Base by Liberty Furniture at Miskelly Furniture in the Jackson, Pearl, Madison, Ridgeland, Flowood Mississippi area. Product availability may vary. Contact us for the most current availability on this product. The Arlington collection is a great option if you are looking for furniture in the Jackson, Pearl, Madison, Ridgeland, Flowood Mississippi area. Browse other items in the Arlington collection from Miskelly Furniture in the Jackson, Pearl, Madison, Ridgeland, Flowood Mississippi area.